Its Convenient Technology with NFC! In today’s modern times where technology takes priority, time is priority. Every second counts, every moment counts and every action rules. I have been using the Samsung NX Mini for several months now and let me tell you that there’s more than just its camera capabilities and perfect selfie photos. It about capturing priceless moments with the Samsung NX Mini and making sure that one gets to connect that moment right away with someone or somewhere in the world wide web. Sometimes just at a certain moment where you need to take some photos and send them to someone or load it up on social media platform and you realize.. oh no, no internet! Most cases, you will just have to wait till you come to some internet connection. Now the waiting time is over. 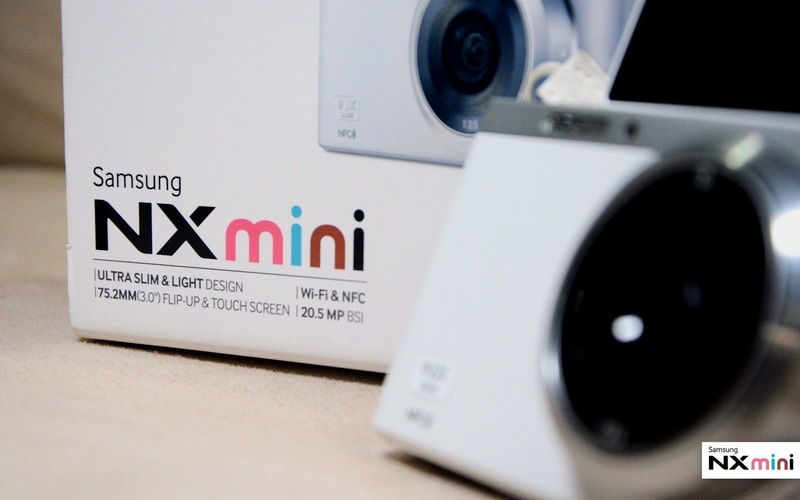 The Samsung NX Mini is built with NFC technology to enable the Wi-Fi functionality without internet access. NFC stands for Near Field Communication. It’s technology involves wireless transmission from one hardware device to another hardware device provided that both devices are within a short range of one another. Read more about NFC here. Samsung NX Mini with its NFC technology allows one to transfer single to multiple photos with just few tabs with any NFC compatible devices. I use a Samsung Galaxy Note 3 and all I had to do was to download the Samsung Smart Camera application from Play Store or App Store. 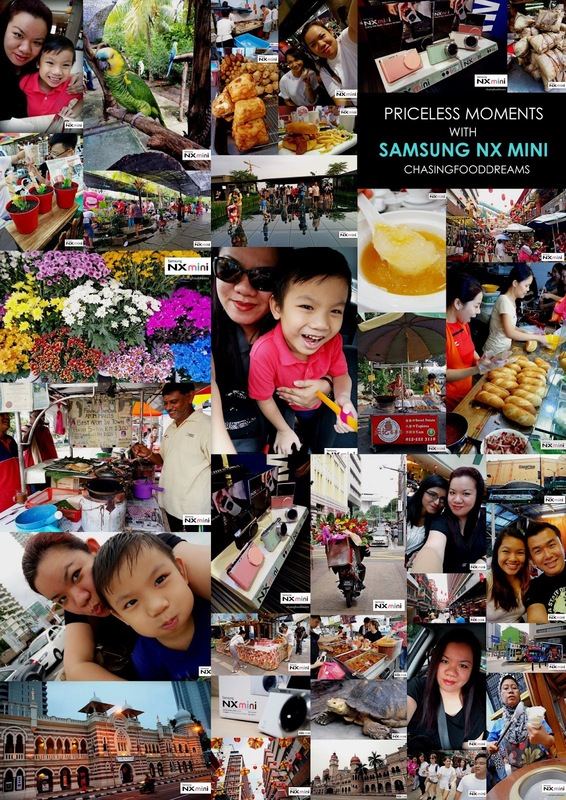 Once you have downloaded the app, just open the Samsung Smart Camera app together with the Samsung NX Mini Mobile Link. Both technologies will sync up and you can now transfer your photos from your Samsung NX Mini to your mobile phone for further actions. I first experience this when we had our excursion to our very own Petaling Street hosted by Samsung Malaysia here. Right after our excursion, we were given a task to instantly load 3 photos from the Samsung NX Mini to our social media platform. Now we were in a restaurant and it just so happens that the restaurant does not have internet service. We connect the Samsung Smart Camera app and the mobilelink technology and in a few easy steps, our photos were transferred from the camera to our mobiles. There are few ways to send your photos over to another NFC device. First one would be the NFC Photo Beam. Select your photos from your camera. Make sure your NFC mode is turn on in both devices. In my Samsung Galaxy Note 3, I turned on the S Beam . Simply tap the Samsung NX Mini camera to the NFC compatible smartphone devices and your images are beamed over in a few seconds. Second, transfer photos using MobileLink. Turn on the Samsung Smart Camera app and Samsung NX Mini’s MobileLink button under the WIFI button in Mode or DirectLink button. Both devices will automatically search and sync up with each other. Once it recognizes each other, simply choose your photos and send them over to the smartphone device. One can send single or multiple photos at a time. Once both devices are in sync, the Autoshare function using the NFC technology, each photo taken is automatically sent to the smartphone device or tablet via Wi-Fi. The NFC technology allows wireless connection between the devices despite that there is no internet service available. This is such a brilliant technology perfect for those who love their social media platform and needs to keep everything updated throughout the day. For those who do not have a Samsung mobile phone, you can still perform all three connections from the Samsung NX Mini to your device as long as you download the Samsung Smart Camera App. NFC definitely makes your life easier and saves time too as one can do this anywhere and anytime. To date, I have really grown to love the Samsung NX Mini. The camera is handy to carry around, slim and light. It comes with SMART functions allowing the best photos to be capture in different condition. The various functions that makes photo taking easier produces beautiful selfies and welfies. I admit to loving my selfies and also capturing priceless moments with my little with the Samsung NX Mini. With the NFC technology, I can join the tech pack and load my photos to my social media right away no matter where I am. Great camera because nice photo.Thanks for your post.